Looking for private in-home or in-studio Trumpet lessons? Our Emerson teachers are ready to get you started. Find your teacher today! Professional performer and teacher for over 20 years. Performed live on radio and TV; major venues coast to coast; for 3 US presidents; DCI group - The Cadets of Bergen County; symphony; brass quintet; big band. Mark is particularly insightful in quickly and accurately diagnosing obstacles and offering effective solutions all while keeping development fun. A symphonic player with high-level marching band experience, Mark has acute insight into the varied needs of today's performers and develops customized paths for embouchure development and maintenance in addition to musical interpretation. I believe in making music fun while students learn. Beginners through professionals who have a genuine enjoyment through playing will create a life-long enrichment, hobby or profession. Strong fundamentals with solo application help the whole student develop. 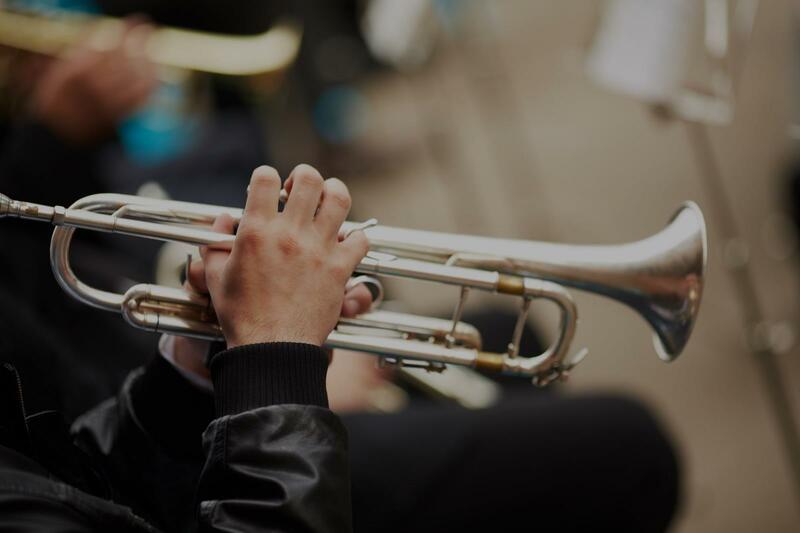 Whether you are looking for basics, school ensemble support, audition preparation or a come-back plan, musical expression and enjoyment are a personal extension. I look forward to helping all my students remove obstacles to their self-expression. Our son loved it! I have never seen him this excited about learning anything so this is really exciting for us! I thought he connected really well with my son in his very first lesson. I left the meetin we had for last 10 - 15 min of of first lesson feeling really confident. a wonderful disposition. My son has trouble catching on at times and even though she had to repeat her instructions to him, a few times, she never lost patience with him. He liked her a lot and wants to continue getting lessons from her. Her rates were very reasonable and I would highly recommend her to others."